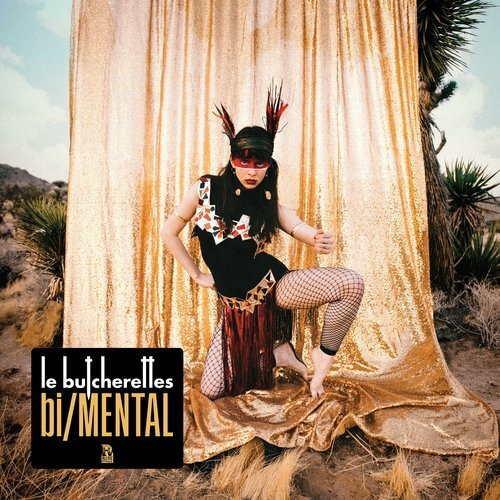 You may not know who Le Butcherettes are or the name “Teri Gender Bender” but you should. Those who do have, know that Le Butcherettes is one of the most insane, unrestrained and ultimately ground-breaking bands of the 21st century, and its head (vocalist and lead guitarist) Teri Gender Bender is a visionary in the punk-rock genre who has collaborated with some of the greatest names in rock, such as Iggy Pop and John Frusciante. For the bands newest release bi/MENTAL they teamed up with legendary producer Jerry Harrison of Talking Heads and Modern Lovers fame, who has produced albums for such storied acts as No Doubt, Live, O.A.R. and Rusted Root. The final result is 13 innovative, infectious, and artistic rock songs that capture the passion and energy of Le Butcherettes live show while in a way that sounds both refreshing and modern.